This was so good! The whole trilogy is really amazing. I actually remember reading the first book in the trilogy, Sleeping Giants, and thinking that it was just okay. Everything changed when I decided to try the audiobook for the story. I was really able to appreciate the story much more with the help of the narrators. 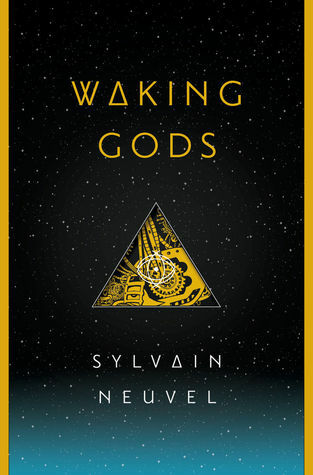 When I picked up the second book, Waking Gods, I was worried that I wouldn't be as impressed by the book in print after my experience with this previous book but I liked that book right from the start. The same can be said for this book. I thought that Waking Gods ended with just a bit of a cliffhanger and I couldn't wait to see what was going to happen to these characters. This was one of my most anticipated reads for the year and I was not disappointed. I really need to finish this series. I’ve only read the first one, but I liked it enough that I want to continue. Great review! I think that this series is just so well done, AJ. Definitely try to pick up the rest of the series if you get the chance. Ok - I only read your intro paragraph because this series is on my to be read list and I don't want to be spoiled. I am going to go with audio, and this makes me even happier with that decision since you enjoyed the first book so much more in audio! The audiobook uses a full cast and it is just amazing. So good! I think that the audio really helped me get a feel for all of the different characters. I hope you enjoy it, Sophia Rose! I haven't read this series but it sounds good. Thanks for the great review. It is such an original and entertaining series, Mary! It was such a fun trilogy. I think you would love these audiobooks, Blodeuedd! Oh, I remember when the first one came out and I was intrigued about the hand. But I didn't read it back then. I think this series would be one to get from the library for me though(price).It also sounds like it would make a good movie or mini-series. I think that this would be the perfect trilogy to binge read. It would definitely make a great movie as well. 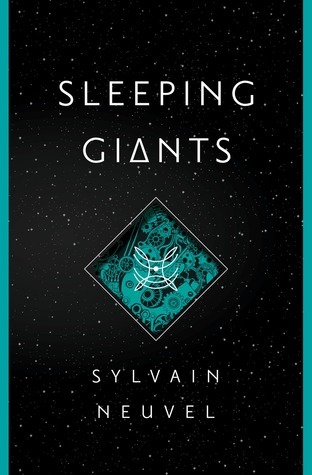 I actually have Sleeping Giants, but I haven't read it yet! I'm happy to know the series is really good and ends wonderfully. I skimmed everything about the actual book so I don't spoil anything for myself. I'm thinking I need to get to this one sooner rather than later so I can read the other two! I am going to have to get book one.this sounds perfect for me! I am pretty sure that you would love the audiobooks, Kimberly, if you were thinking of trying that route! Ack. I can't wait for this one to come out! I love, love this series. And I'd forgotten a lot of the story lines now so it bears a re-read before the last book comes out. OMG. They're in space!!! 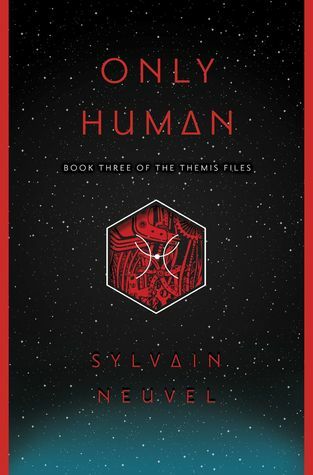 I have re-read the first two books and really liked both of them even more the second time around. I think you will love this one, Joy! It's great that you stuck with the series even when you didn't enjoy the first book as much. I really loved the first book when I tried the audiobook so it might have just been whatever mood I was in when I first read it. It is a lot of fun! I have really had such a good time with it! *found - my grammar was no good yesterday, clearly! I love when a trilogy gets better! I hate when a trilogy ends on a weak note but it's such a delight when there's a strong end! The idea of this book interests me but I've never liked this journal and interviews format for reading a book-it put me off Illuminae as well. I'm really not sure I'd like it because of that. It is definitely in a different format. The audio really made it seem like listening to a movie though. I wonder if that would work better for you. I am glad you had the audiobook out there to save your experience of reading the first book in print, and it's pretty interesting that your cross back over into print worked out well for you. I am glad that the end of the series was so brilliant and enjoyable! I still have to read these but they are on my TBR. The audiobooks just really worked well in regards to bringing the characters to life. Once I had the voice in my head, reading the story in print seemed to work better for me. I skimmed your review because I haven't yet read the earlier books in the trilogy. I am so glad you enjoyed this one. 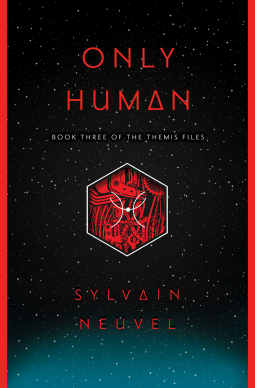 I can't wait now to read this trilogy. I had such a good time with this series. It is a trilogy that I know I will be re-reading many times in the future.